Chocolates and ice cream is the favorite item for all people from kids to old age people. The love and craze on those items will never be reduced and it makes us tempted to taste all time. When we are taking our kids to shop there is no chance to take them out without buying a chocolate. Delicious taste covers everyone and it is available in many different flavors. All are having different taste in choosing chocolate. Like the same ice cream are also come in different flavors. When we are having a cup of ice cream in front of our eyes the concentration will never go any other side. It makes us feel cool and its taste will take us to the heaven. 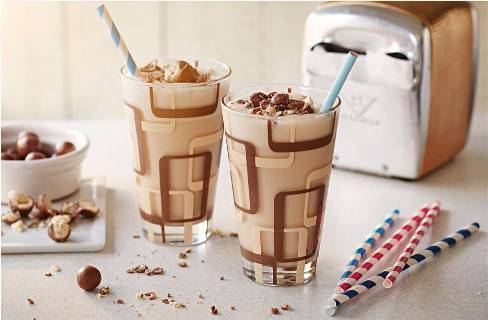 The combination of ice cream and chocolate with some amount of milk gives us the wonderful drink is milkshake. During summer times, we all have a feel to get cool drink with delicious taste. In those times, milkshakes are the best choice to taste and it will give us pleasure feel. It is a favorite drink for all people nowadays and we can enjoy it in different flavors. In this article, I will give you recipe and tips to make ice cream milkshakes at home. 1. Take a bowl of cold milk in a jar and add ice cream in it. If you want to make chocolate ice with more chocolate taste then add more chocolate ice cream for flavor. 2. After that add chocolate syrup in a jar. 3. Mix all the ingredients in a jar very well and no lumps of ice cream will be there. It should in liquid form and if you need more sweet taste then add sugar. 4. Garnishing makes the milkshake more attractive so add whipped ice cream with it. 5. Finally if you need any extra flavor or sweet add some ingredients depends on it. Get the ice cream milk shake with creamy and enjoy it with all your friends or family. We can have this wonderful delicious milkshake anytime. Taking milk shake after our meals make us feel complete and perfect. We can make any type of shakes by using this recipe. I hope this will be helpful for you to make your favorite shake.